I learned from my Daddy that a child should always be willing to listen even if nothing is being said. Silence can be very profound; even silence has its own story to tell. A year of my Daddy’s life between 1967 and 1968 was buried in silence until I started digging for that man. 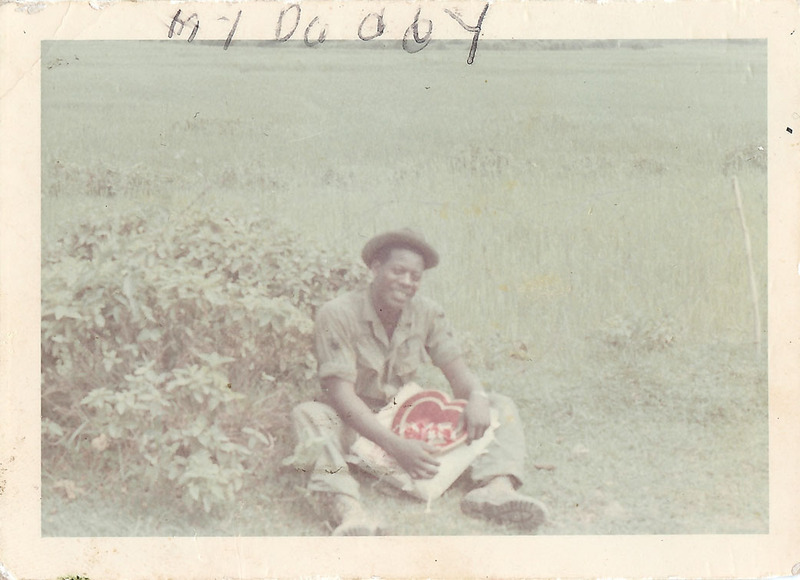 Instead of saying anything at all about Vietnam, my Daddy gave me the diary he kept during his tour of duty and all of his photographs from which I learned about Vietnam for myself, through the eyes of a child. With Vietnam, his days as that young man were gone; someone different emerged from those 365 days spent in Vietnam, someone I am still getting to know. I can tell his story because my Daddy has granted me the gift of his voice. He gave me more than just his war story. He gave me permission to speak for him -to remember his memories- to shatter those silences. This has also become my story of Vietnam, and I have been telling it since I was about twelve years old. Like my Daddy’s story, it grows, evolves and changes with time. It often takes on a life of its own… living, breathing, moving within spaces, from whispers to deafening cries soberly grieving for the fallen… only to settle back into the story that should always be told, the one that loosens the shackles of silence and spills out into my own voice -the daughter of a Vietnam Veteran- telling my Daddy’s story. 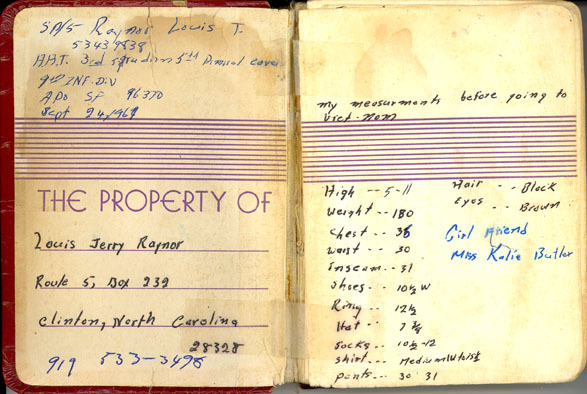 September, 24, 1968 would typically read like any other day in my Daddy’s diary except that this page was left blank, unlike all the others. There was something that he could not write about… His 365 day tour in Vietnam would end with things left unsaid – unwritten -with this blank page. My father had to imagine that he may not make it back home alive from this war. At age 18, he knew certain things to be a fact: he was poor and black, living and working on a farm in rural Clinton, North Carolina. And, out of all of his brothers, he was the only one drafted to go to Vietnam. With faded photographs and memories scribbled on the back, my Daddy left his home, this small town to serve his country.